Western Railway Recruitment 2016-2017: The latest news for the applicants who are looking the latest railway jobs in Mumbai can apply the WR recruitment 2016. The Western Railway has been invited the application from the eligible candidates for the post of Act Apprentice jobs. There are total number of vacancies is 557. The name of the post like Welder, Mechanic, Pipe Fitter, Electronics, Admin Assistant, Electrician, Turner, Wire Man, Motor Vehicle Body Builder and etc. This is one of the golden opportunity for the aspirants, so the applicants can use the Western Railway jobs 2016. If you going to apply the application form for WR vacancies 2016 before you must read the Western Railway notification 2016. 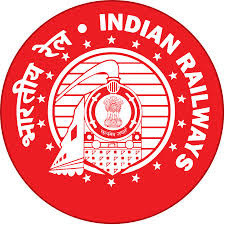 The applicants who fulfill the eligibility criteria can apply the online mode of Western Railway application form 2016 through the official site wr.indianrailways.gov.in. Our Indrajobinfo.co.in site has attached the link for the Western Railway recruitment online application 2016 and advertisement. The Western Railway recruitment board has been conducted the trade test to recruit the eligible applicants for the required vacancies. Every year huge number of the candidates are applied the Western Railway online application form 2016. This year also many of the aspirants are going to apply the Western Railway recruitment 2016. The eligible candidates can apply the Western Railway application form 2016 on or before 20th June 2016. Other information like educational qualification, age limit, how to apply, selection process, application fee details are given here. The candidates who want to know the latest jobs in India, then you must like our social page (LinkedIn, Facebook, Google+ & Twitter). Railway Name: Western Railway Recruitment Board. Educational Qualification: The applicants who have pass the Matriculation/ITI with 50% marks from any recognized board of the school/institute can eligible to apply the Western Railway recruitment 2016. Age Limit: The age limit of the candidates must minimum 15 years and not less than 24 years. Age relaxation will be applicable for the reserved applicants as per the govt rules. Application Fee: The general aspirant have to pay Rs. 100/- for the application fee. There is no application fee for the SC/ST/PH/Women applicants. Selection Process: The selection of the applicants in Western Railway recruitment 2016 will be based on the performance in trade test organized by RRC WR. Scale Pay: The shortlisted candidates will be getting the pay scale as per the govt norms. For more details check on the Western Railway recruitment notification 2016. The eligible and interested candidates can download the WR application form 2016 from the official site www.wr.indianrailways.gov.in. Fill the application form in prescribed format. Finally post application along with required documents to the given address. Note: The applicants must apply the application form before the last date of the application submission (20.06.2016). Closing date of application form: 20.06.2016. Western Railway Recruitment Notification 2016. WR Application Form 2016 Download Here.